"The joy of sharing my life with Alina's smile is immeasurable," writes Juan Sánchez, brother of Alina (Lêgerîn Çiya), in memory of her. 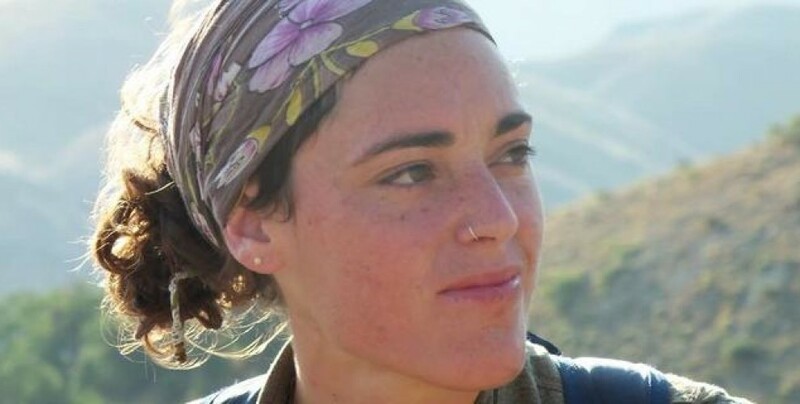 Alina Sánchez, with the Kurdish name Lêgerîn Çiya, who fell a martyr in Heseke on March 17, and who is loved and remembered by many people all around the world, is now in the words and memories of her brother Juan, who calls this letter "unfinished and incomplete yet". In the letter, he traces the experiences, memories, principles and beliefs of Lêgerîn Çiya, a fighter for humanity. “My name is Juan, brother of my idol Alina Sánchez, fighter for women's rights and humanity. Today, where her big smile and indefatigable strength have closed the circle, we are fighting to the last moment. Now and then we will feel great pain, but when the pain is scarred there will be only joy, the light and the teachings that emanate directly from their hearts. Death was for her the end of our time on earth, inevitable and natural. Life is the time available to us in which we have the opportunity to accomplish all the miracles we create in ourselves. Alina was a woman with a great ability to radiate and awaken every kind of love, with great will and modesty, which enabled her to approach her idea of ​​a better society with equal strength and importance at all levels: preparing a breakfast, taking the pressure of an old woman, having a meeting with the highest committee of a state, when covering a wound, when giving advice. Every conversation, every gesture, every action, however large or small, is an opportunity to improve the world, which if done in coherence with what one feels creates harmony to an entire community. Alina had understood all this and aligned her life since her youth. This gave her a very great energy that enabled her to break free from all greed, any harmful activity, any luxury, because her way of living allowed her to be happy at all times. Not like the image of happiness that is told in stories, in the imagination. But the true happiness of a fulfilled and always peaceful life, to enjoy the good, to face the bad and to learn from it. I did not write this part of the letter with the intention of making it public, but to recognize, understand and implement in my life the wisdom that Alina had. Her actions and decisions were of great kindness, loving and great peaceful. She took every moment as it was and made the best of it, consistent with her ideals. She was not afraid to feel and share love with people, and she lived that love to the fullest. She was not afraid to face a person with bad intentions to touch their conscience. She knew that all human beings are equal and therefore she was interested in everyone in the same way. She knew that the most important thing was not the individual but the community, the largest organism. She knew that acting out of selfishness was not for everyone, and that this way of life was unfulfilled. She was always aware of herself, pure, no matter where she was, who she was with, what her situation was. She has never lost the childlike innocence; this enabled her to accept and appreciate the simple and the little things in life with great frankness.